The advice you may receive—especially from friends and family—on how to recover from infidelity often is to rush immediately to couples counseling. What these well-meaning people don’t realize, however, is that this approach can be counterproductive. Jumping right into couples counseling after infidelity often bypasses any trauma the situation has created for you. In other words, experiencing a betrayal such as infidelity causes post infidelity trauma disorder. Just like PTSD, this disorder is characterized by a number of symptoms that can render you unable to move forward in healing your marriage. Consider this matter in more detail and what approach may serve you better at this difficult time in life. Firstly, the impact of post infidelity trauma is unique to each individual. For example, the trauma from a long-term affair will most likely impact you more seriously than the trauma from a one-night stand. At the same time, though, symptoms of trauma in both cases will probably manifest in similar ways. Common symptoms include anger, defensiveness, the need to punish, blaming, hate, rage, etc. To enter couples counseling in this traumatic state would not be helpful. You’d be spinning your wheels and possibly even causing more damage to yourself and your marriage. Leaving both of you unable to evaluate your relationship, you may feel stuck. In the throes of post infidelity trauma, you may feel the need to repeatedly attack the one who betrayed you. Furthermore, your partner will likely be attempting to minimize the betrayal as a natural coping mechanism. These common themes are like negative cycles, spinning round and round, never allowing you to calmly evaluate your relationship. Moreover, this unhealthy cycle only increases the pain and widens the gap for true closeness that is required for the survival of your marriage. Until you’re willing to deal with all your emotions, your thoughts, and your own reality by participating in trauma therapy, couples counseling after infidelity will not be unsuccessful. How do natural reactions to infidelity hinder the healing process? As mentioned above, you may be feeling the overwhelming urge to verbally attack your betrayer. This is a natural reaction and part of post infidelity trauma disorder. As a result, though, the betrayer typically shuts down emotionally simply because they keep getting attacked. Often, adding to the problem is the intense shame and guilt of the pain that they have caused you. This reaction from your partner is also characteristic of the situation. However, it may be an extreme let-down to you. Why? Perhaps, you want to see some profound change in your partner because you are worried that the infidelity could happen again. You need reassurance, and yet, they do not provide it. 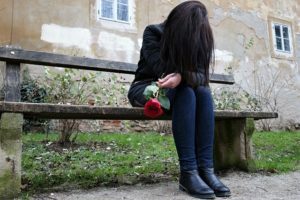 Moreover, while your partner may want to move past the incident as quickly as possible, you may unintentionally want to see them traumatized. In essence, you would like them to pay a price—a penalty—because that’s how they made you feel. How can you get into a frame of mind conducive to healing? To recover from infidelity, your role in the healing process is to recognize your traumatized state of mind and to address the hurt and the angry feelings that consume you. The role of your betrayer is to accept the anger brought on by your post infidelity trauma and sincerely apologize for the behavior that catapulted you both into this situation. Accepting these roles will take time. So, rather than rushing to couples counseling after infidelity, give yourself time to process the traumatic experience first. If you would like to know more about my approach to counseling for infidelity, please don’t hesitate to contact me. I would be happy to help you evaluate if you would benefit from engaging in individual therapy first, before addressing your marital issues through couples counseling.